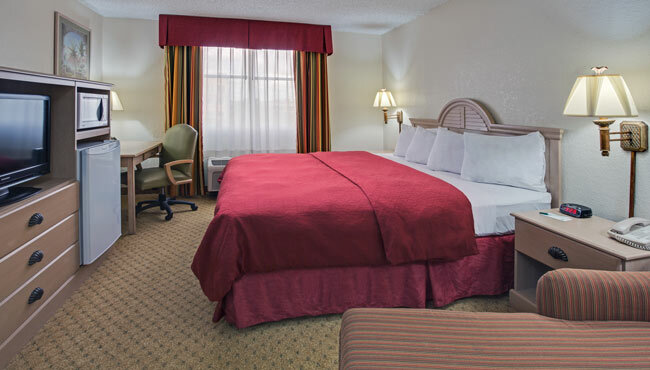 Book your next visit to Miami at the Country Inn & Suites to enjoy hotel rooms with free Wi-Fi and all the comforts of home. Sink into plush bedding to watch TV, and savor a snack from your room’s microwave and refrigerator. You can wake up to the smell of coffee each morning thanks to your own coffeemaker, and a hair dryer helps you look your best before a big day of meetings. Please note: There is a $200 fine for smoking. 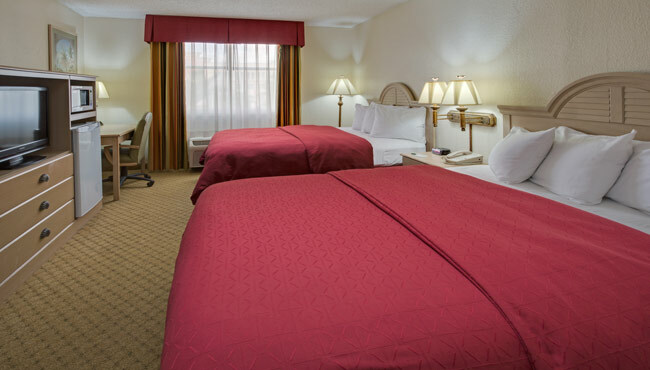 Choose two queen-size beds or one king-size bed when you reserve a Standard Room. These feature all standard amenities including a refrigerator, a microwave and free Wi-Fi. 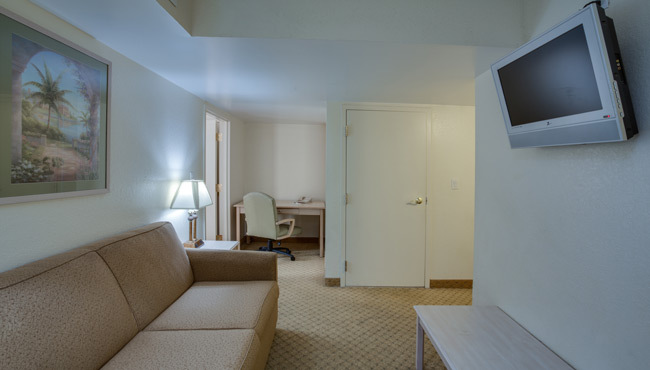 Perfect for families, the One-bedroom Suites include a king-size bed and a separate living room with a sleeper sofa.